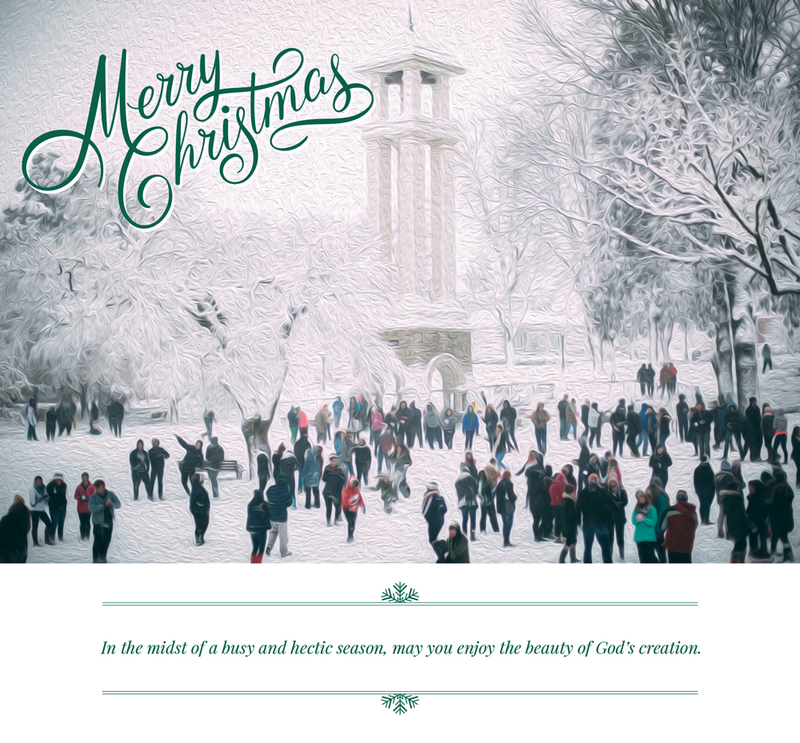 Each year, it’s my joy to share Trevecca Nazarene University’s Christmas card. As this year’s card encourages, I invite you all to take a deep breath in the middle of this busy season to simple rest in the presence of God and enjoy His creation and blessings. Denise and I wish you a blessed Christmas season. And for some more Christmas cheer, enjoy this video! We LOVE this card and message it conveys. Merry Christmas to you and your precious family.